We are delighted to announce that King Alfred will be part of our DJ line up. 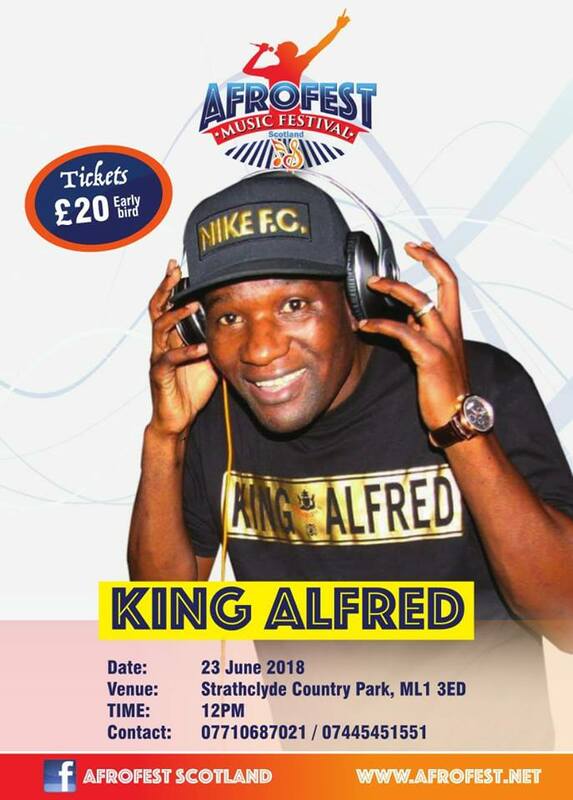 King Alfred is a veteran DJ who has been “spinning the decks” for what now seems like an eternity. King Alfred founded New Generation Sound back in 1988 and has never looked back since. He has worked with some of the biggest names in the Dancehall industry over the years and these include Bounty Killer, Tony Matterhorn, Ninjaman, Busy Signal and Mr Vegas, only to mention a few. He has an uncanny ability to always be one step ahead of the game. Music is his life. It is impossible to speak of Zim dancehall without mentioning his name. Alfred played a huge part in taking Zim dancehall beyond the borders of Zimbabwe and continues to do so. He continues to double up as a Radio and club DJ. Afrofest is a community focused initiative that seeks to promote community cohesion and integration, through social events. We seek to celebrate diversity and promote cultural fusion.